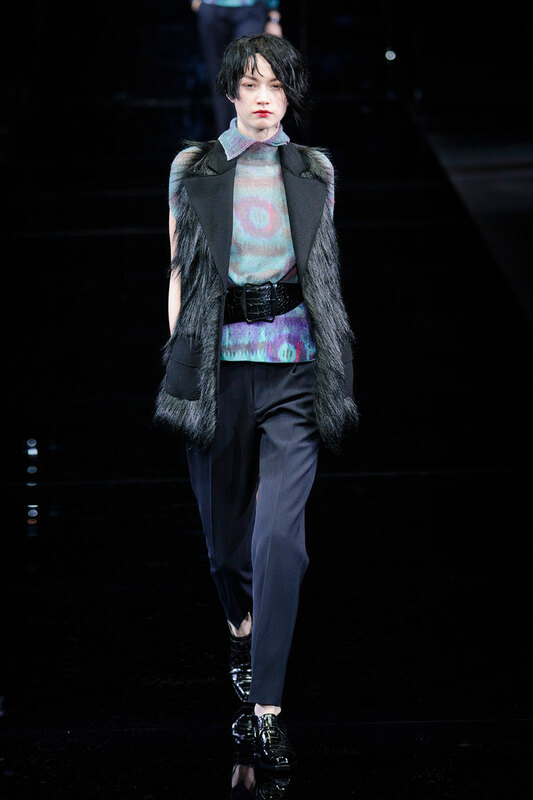 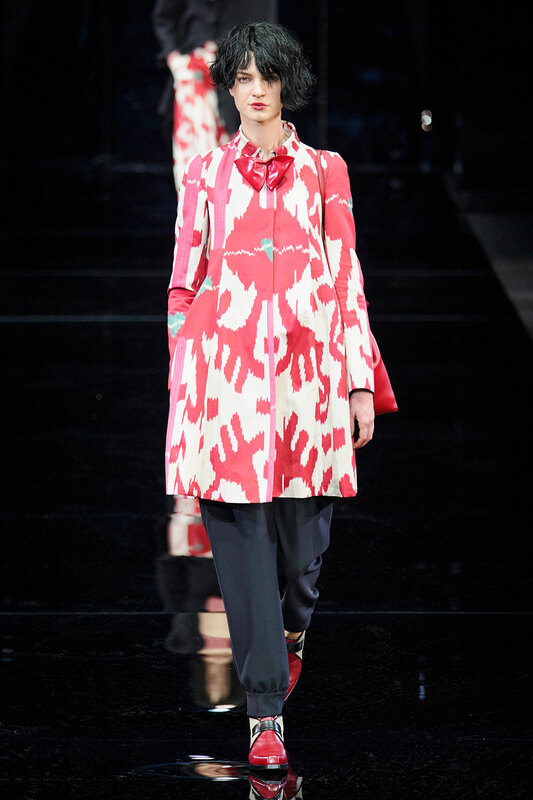 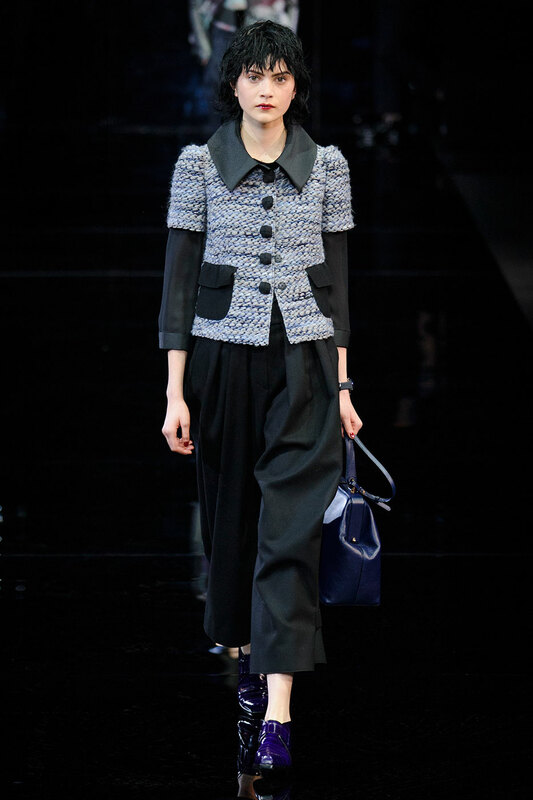 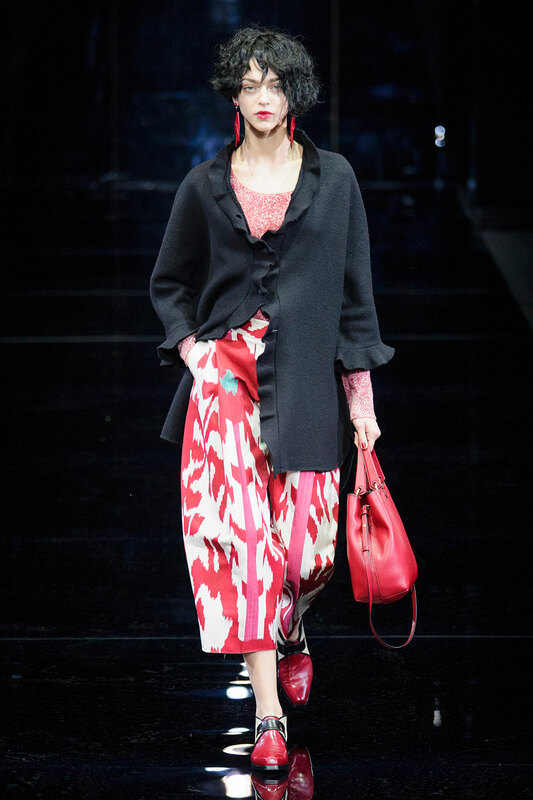 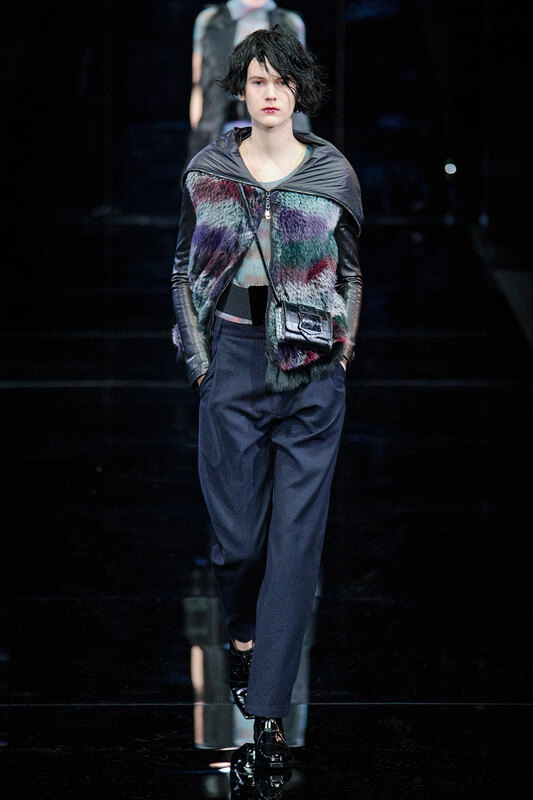 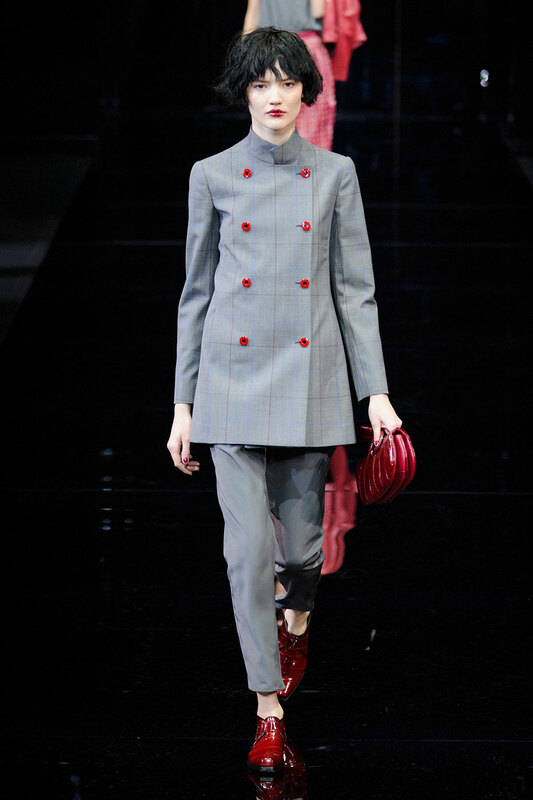 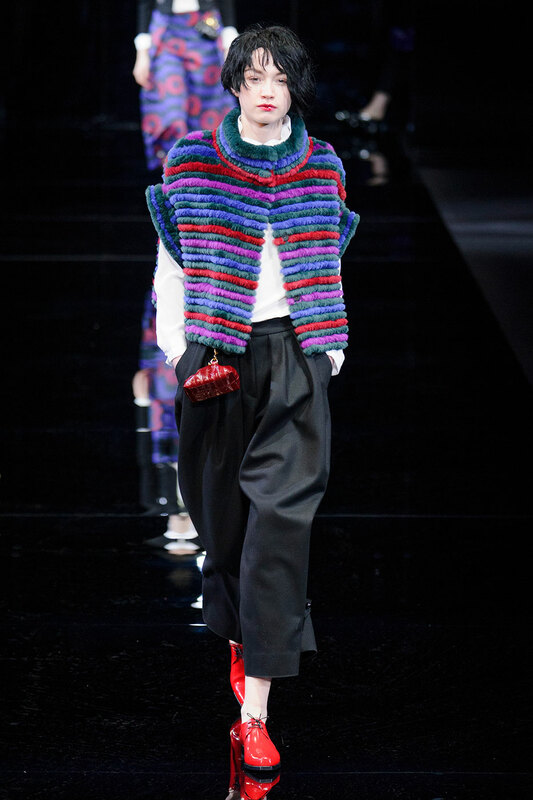 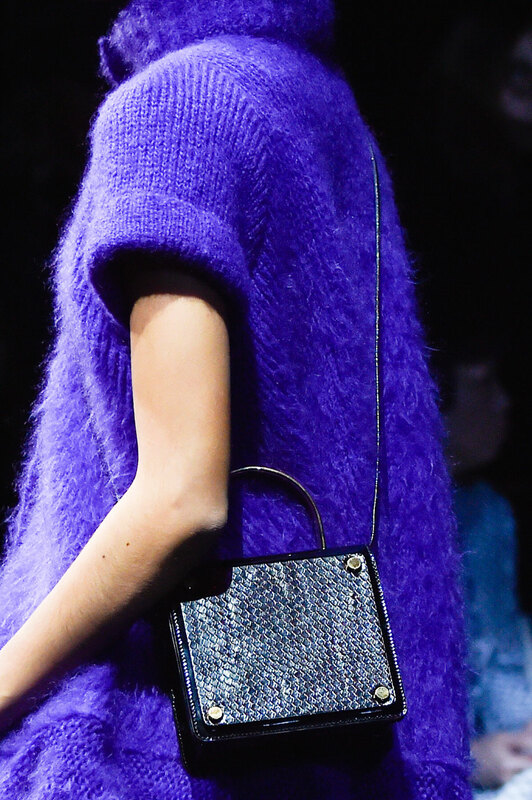 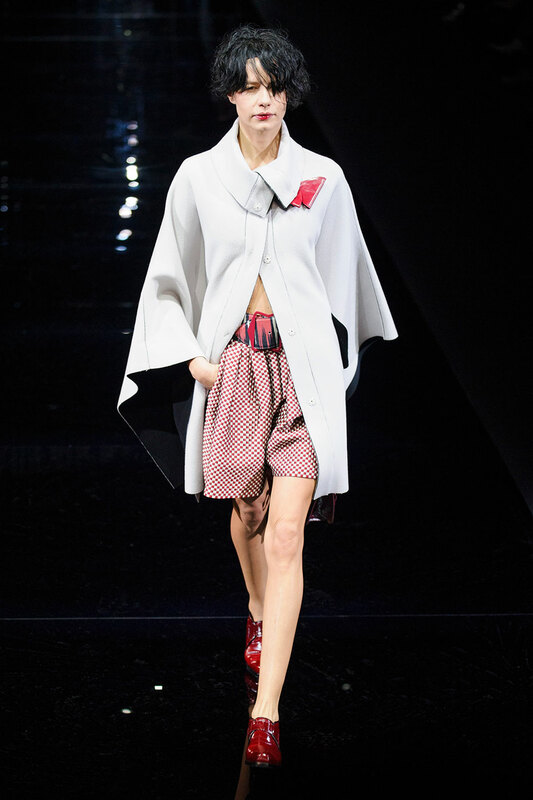 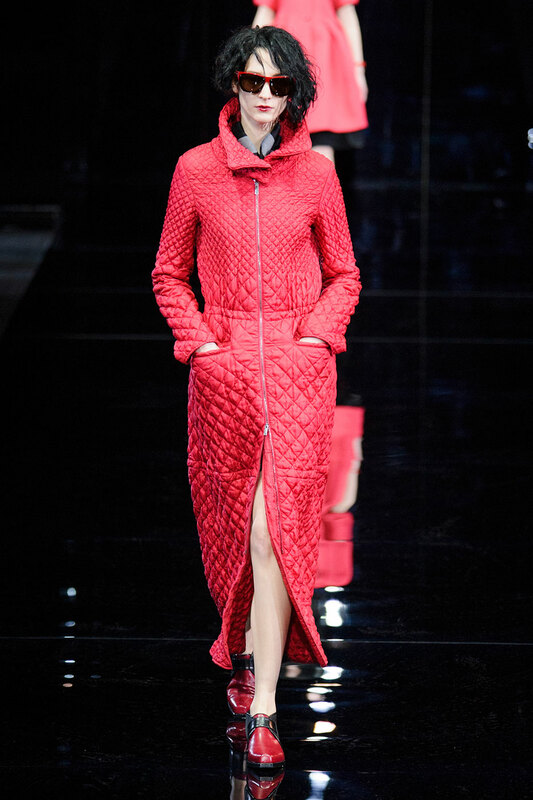 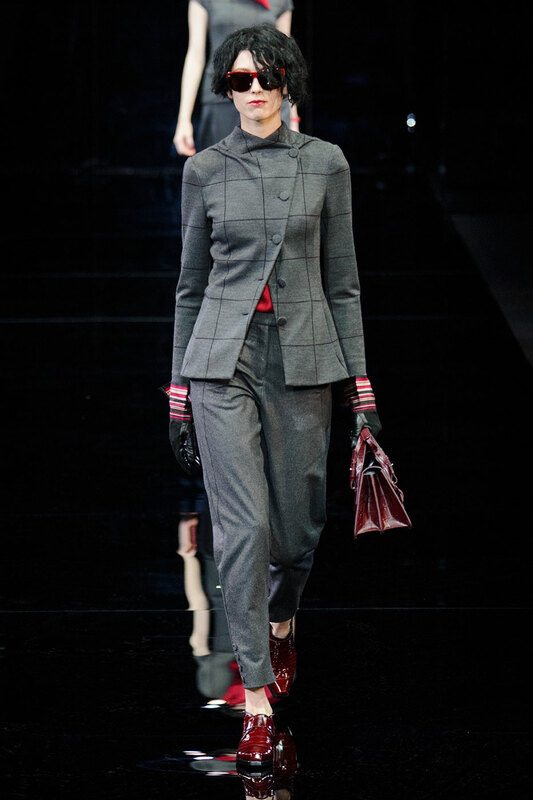 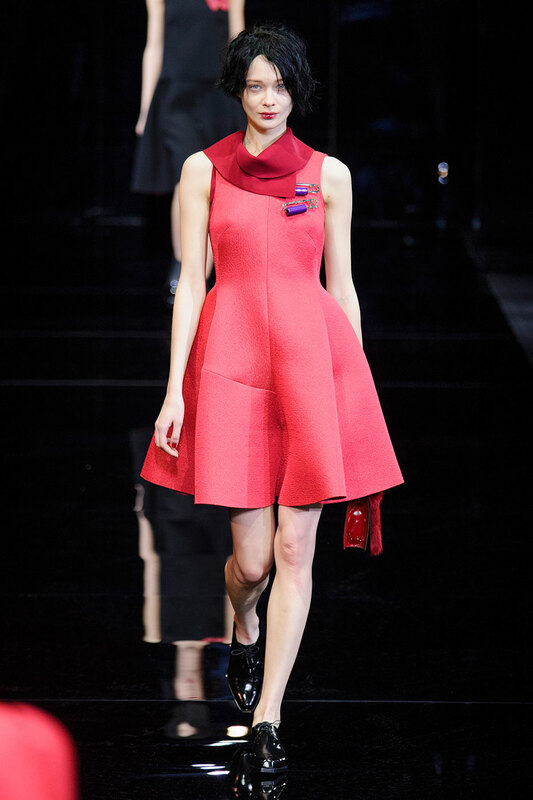 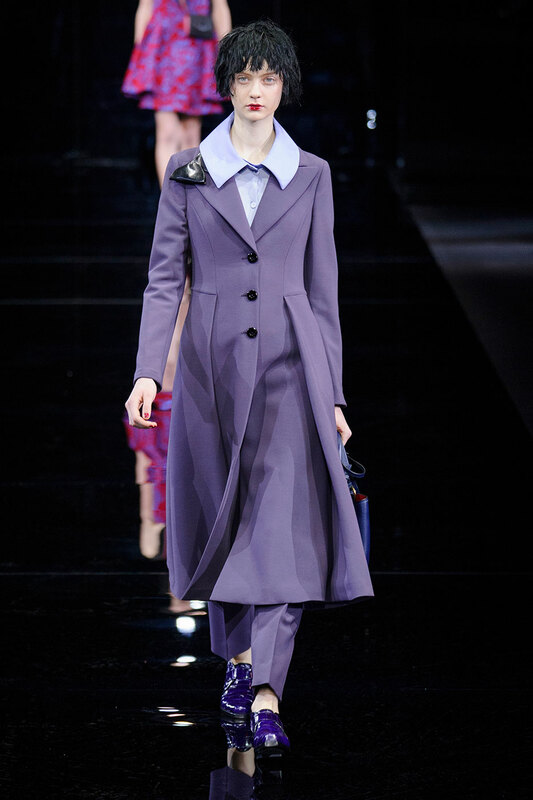 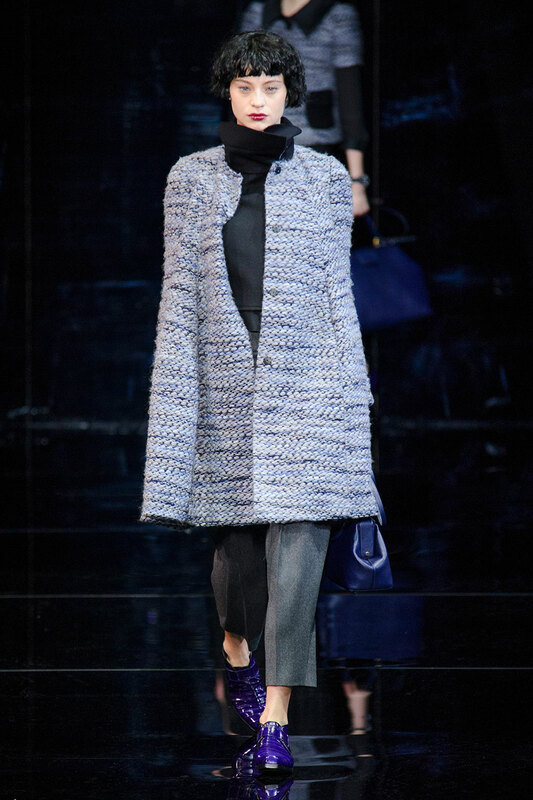 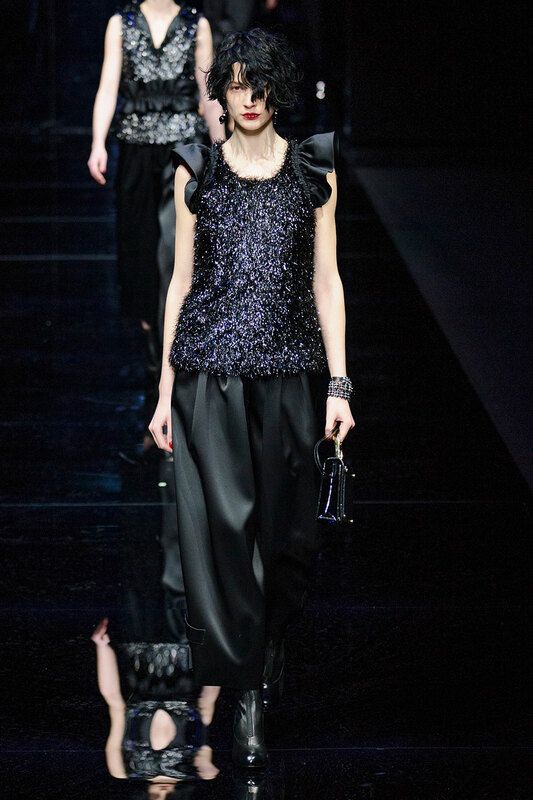 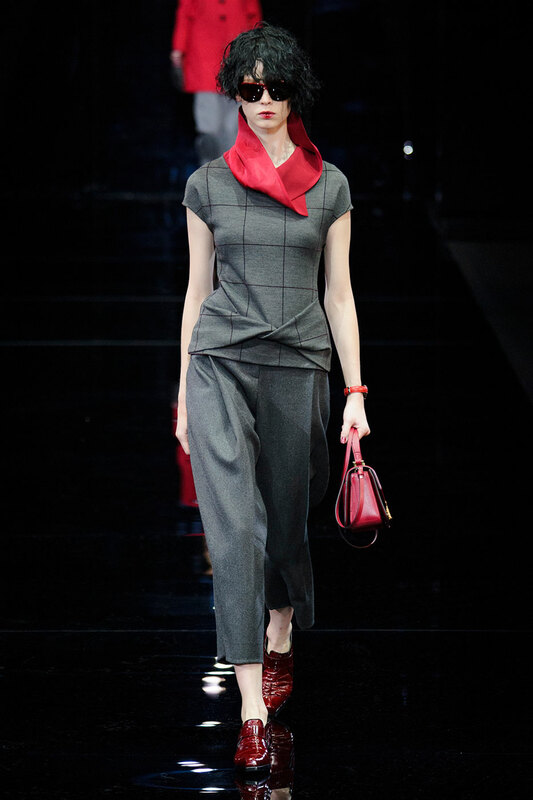 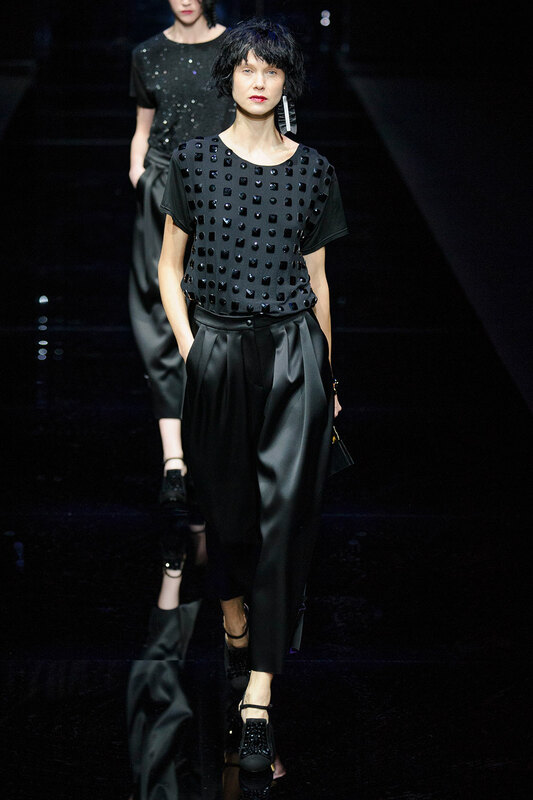 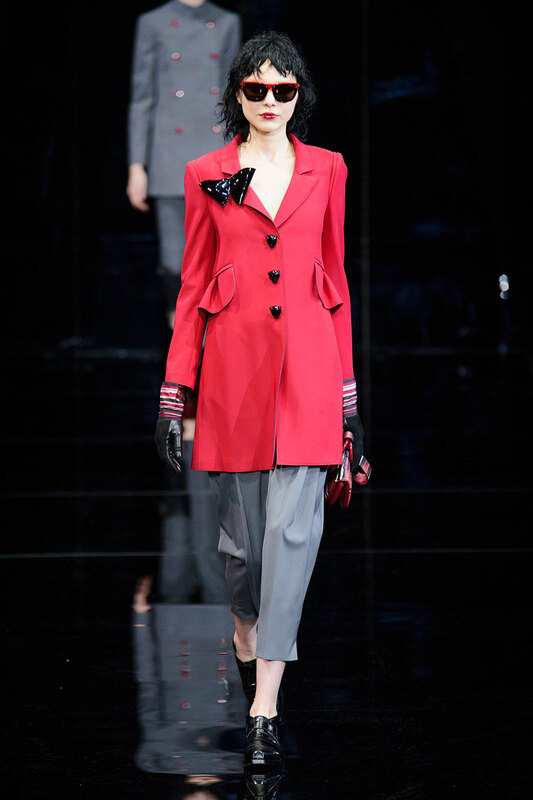 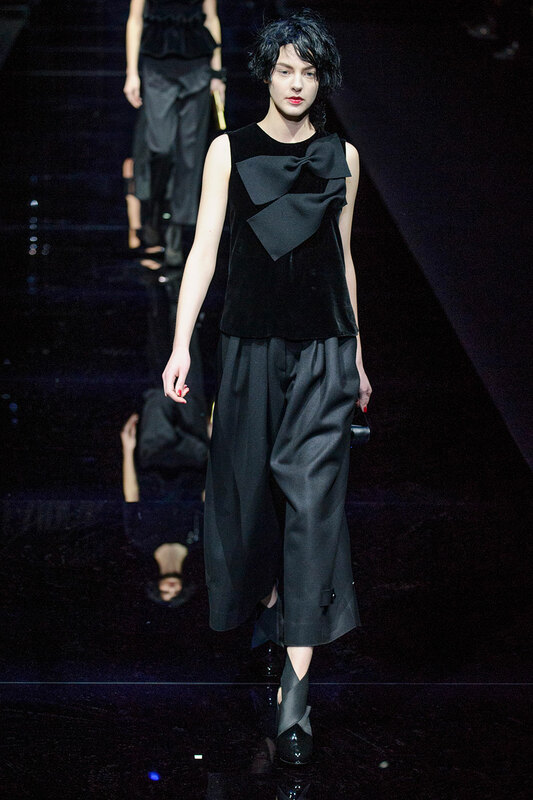 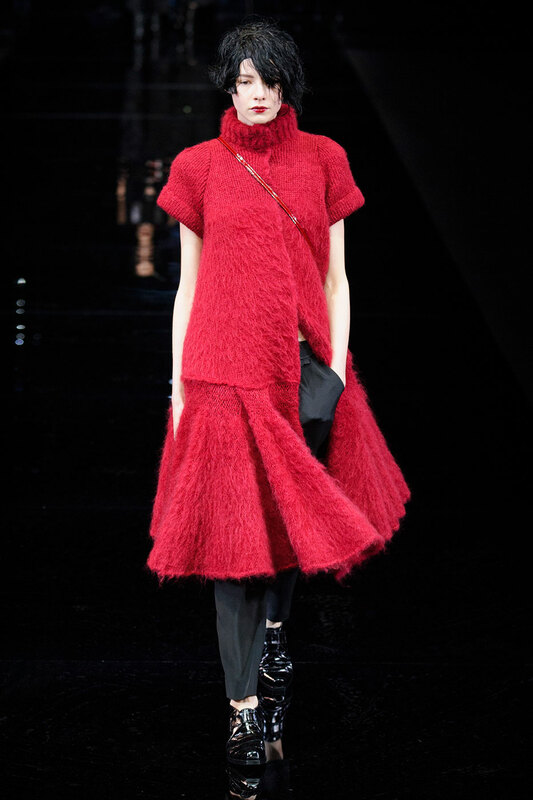 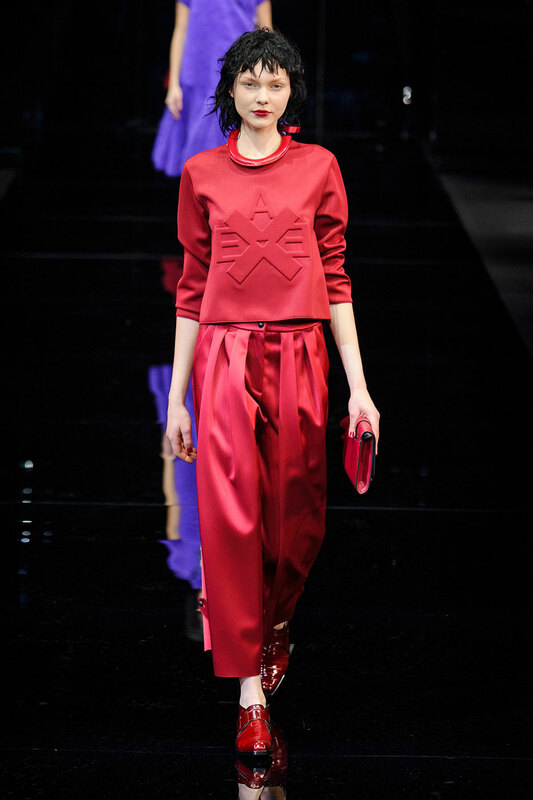 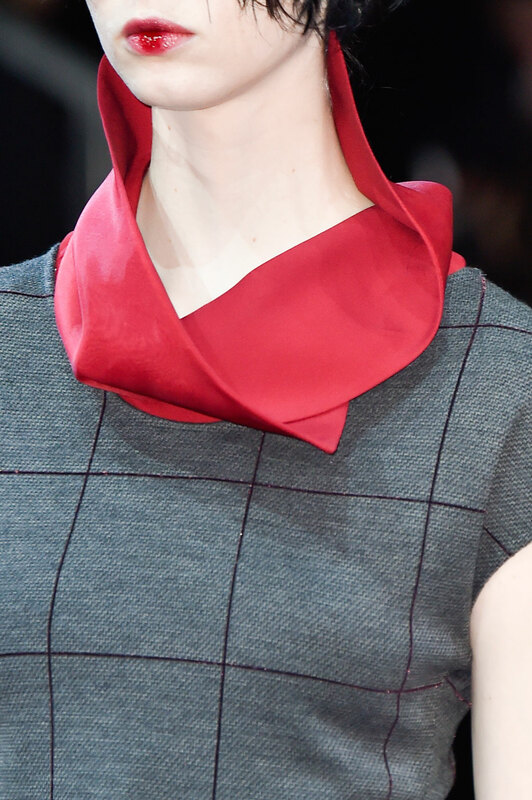 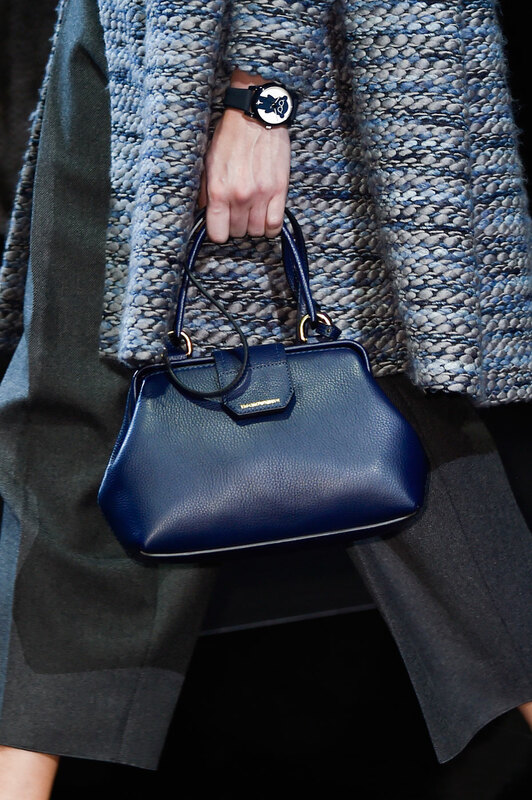 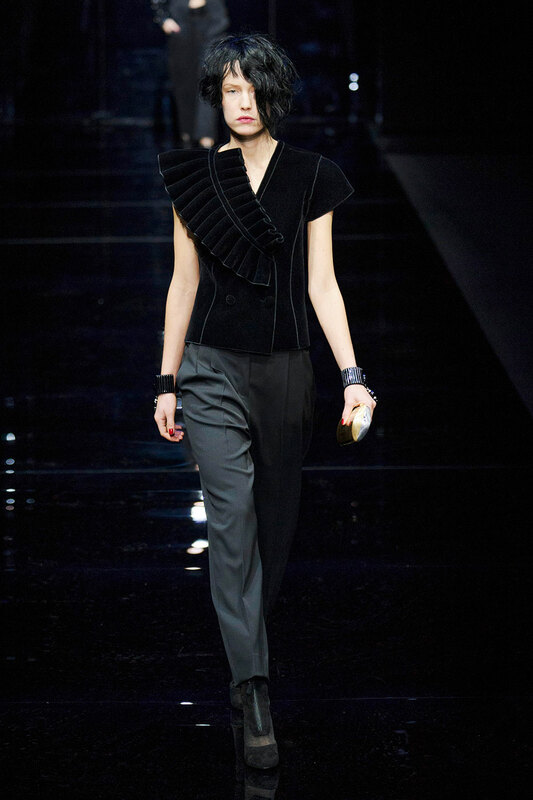 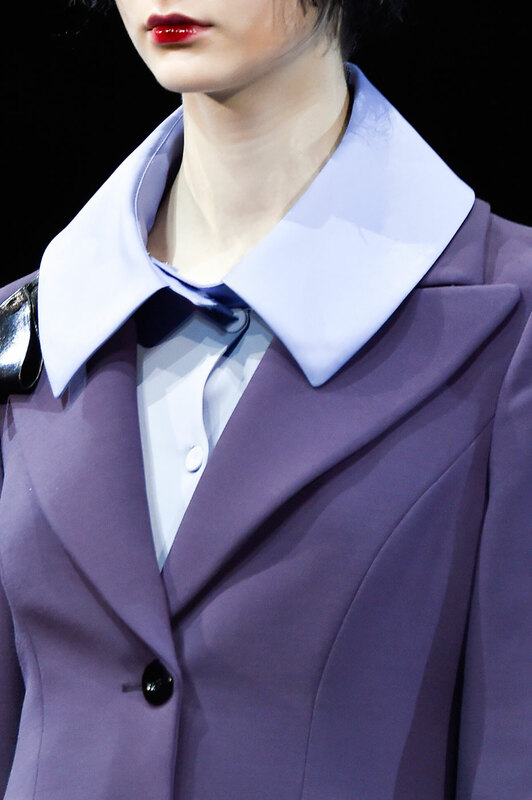 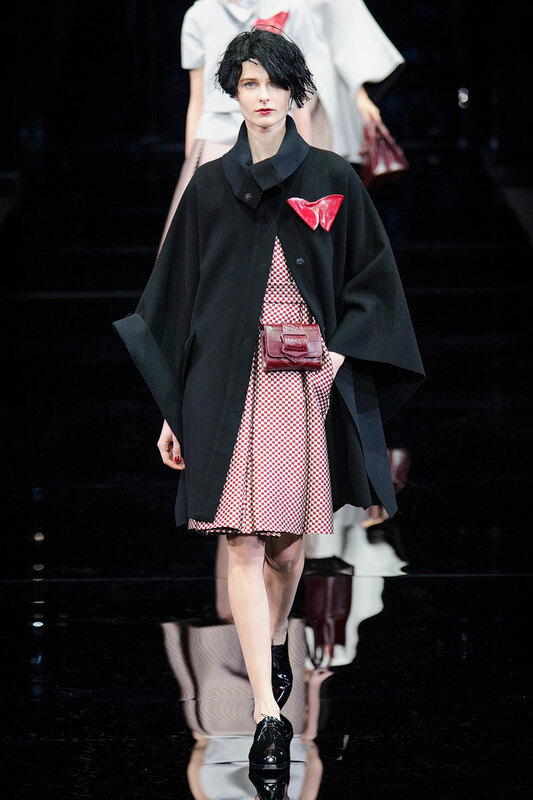 Emporio Armani Women Autumn-Winter 2015 - Armani always master voluminous tailoring, and this season, although still masculine, there was a sense of femininity on the catwalk. 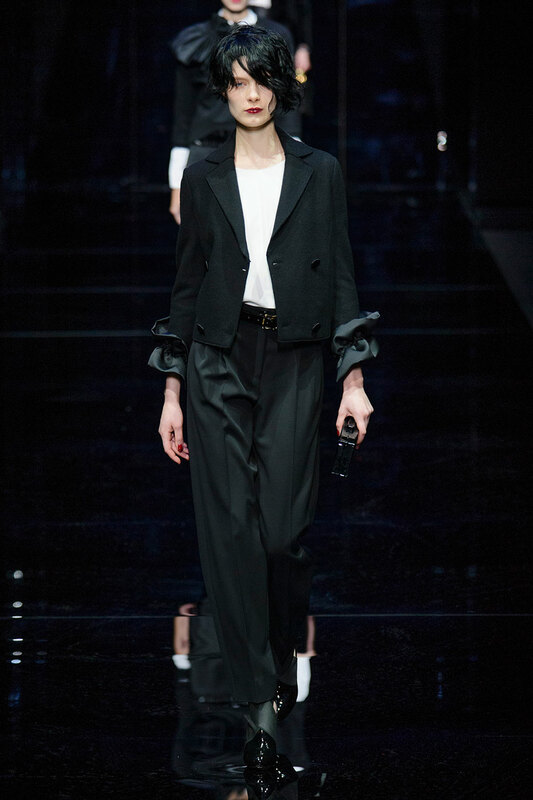 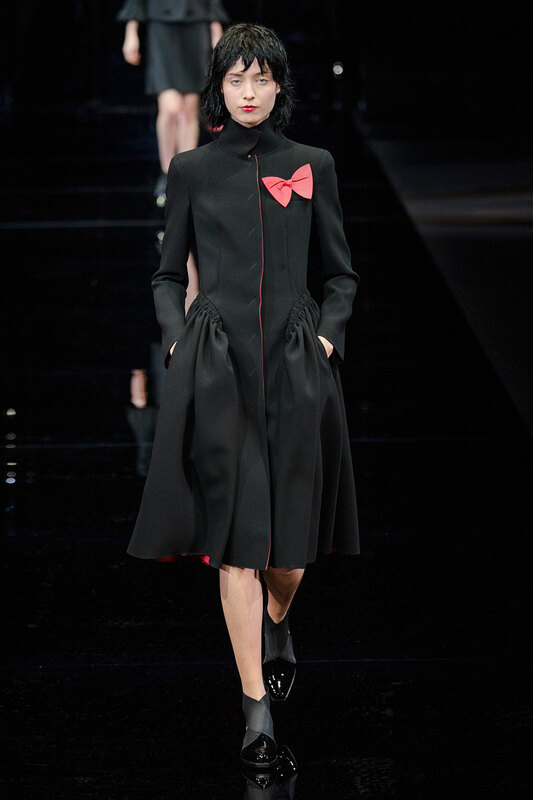 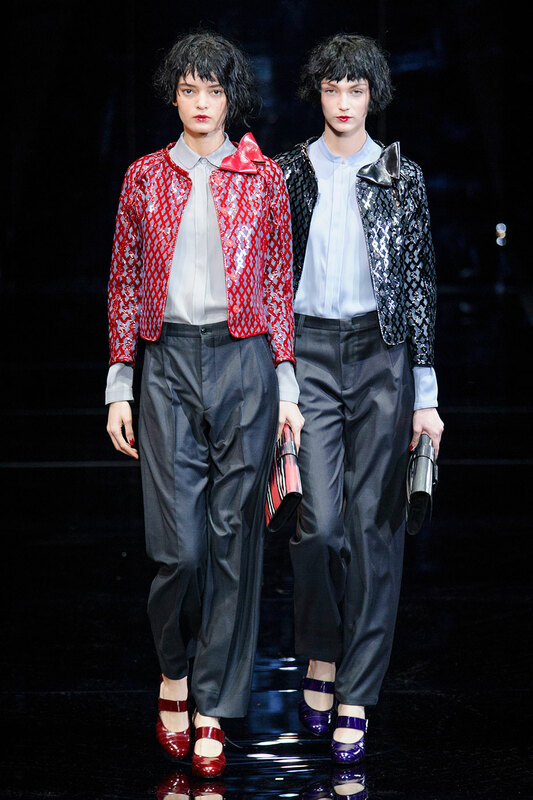 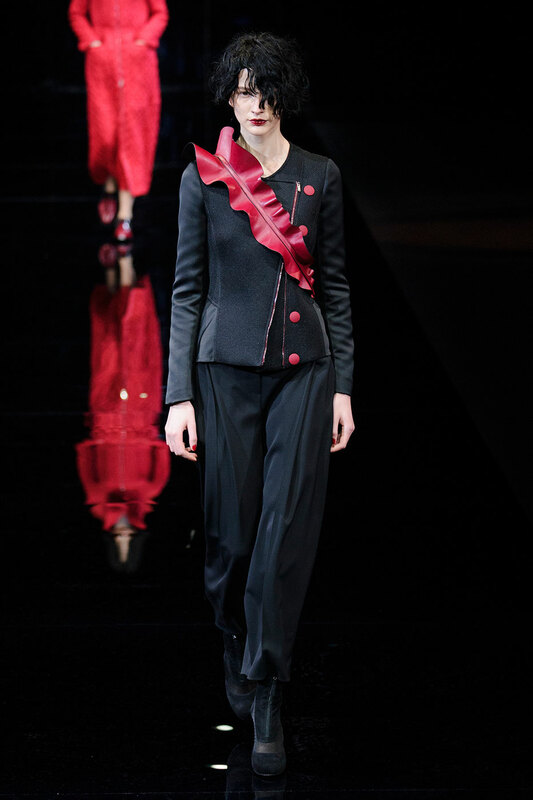 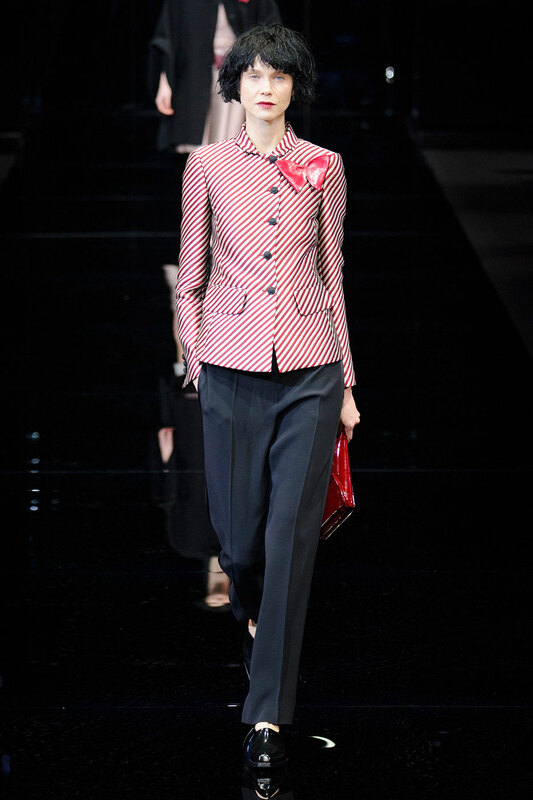 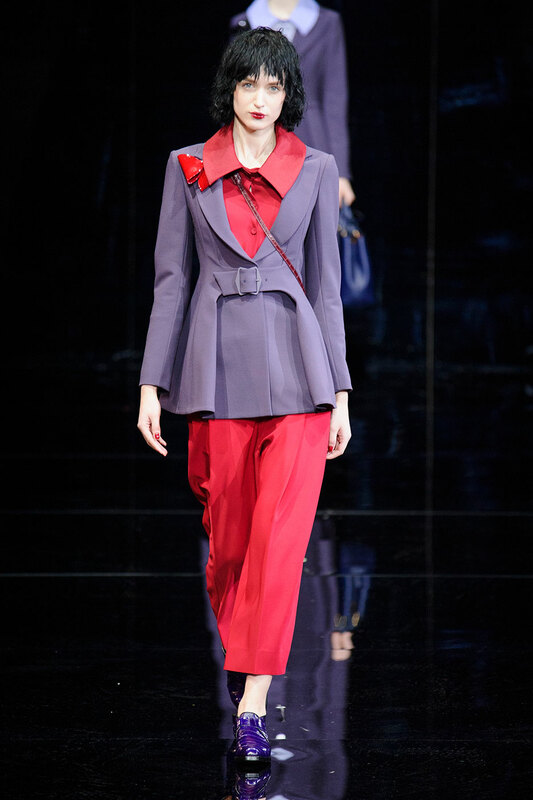 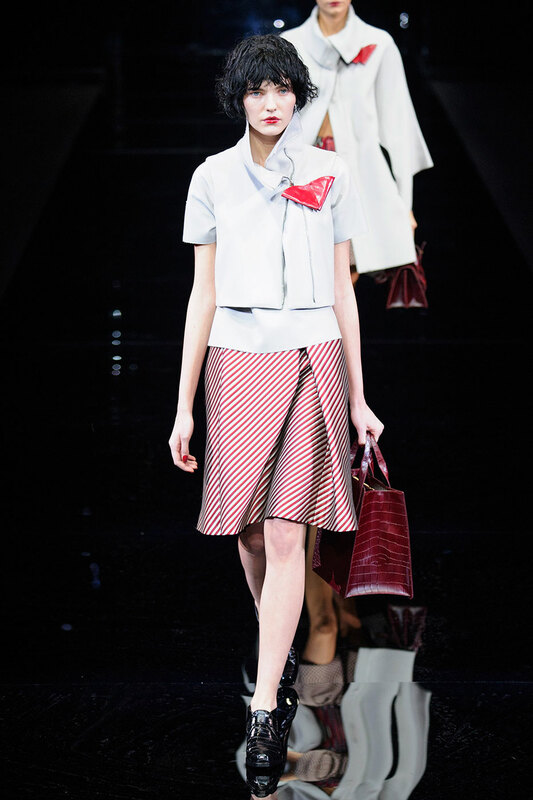 The sharp, structured blazers were overpowering, and with ruffle detailing and swingy dresses present also, Armani truly delivered a beautifully chic collection this season. 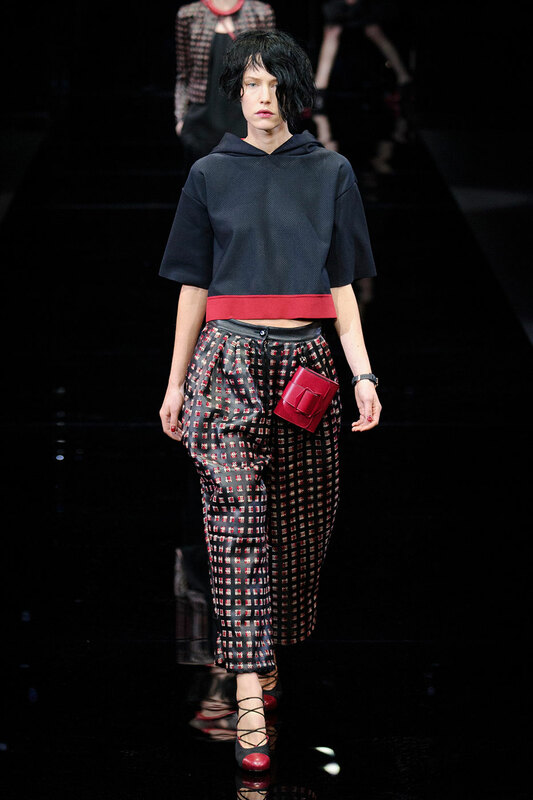 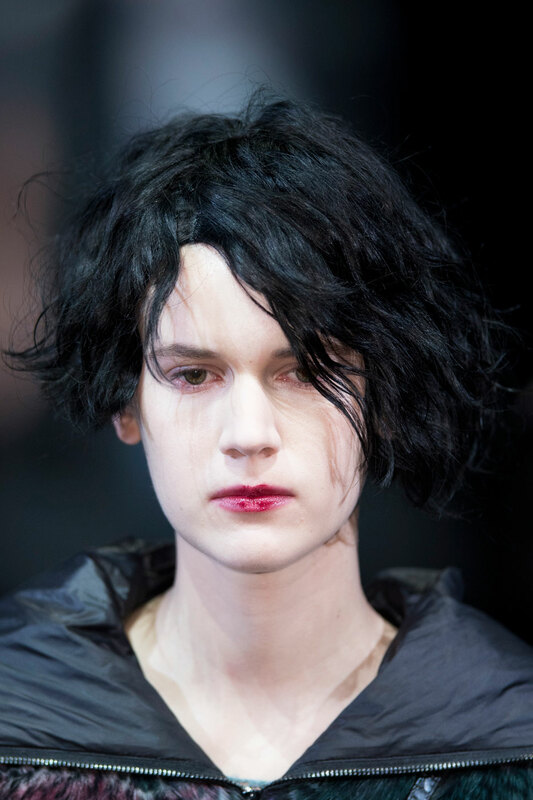 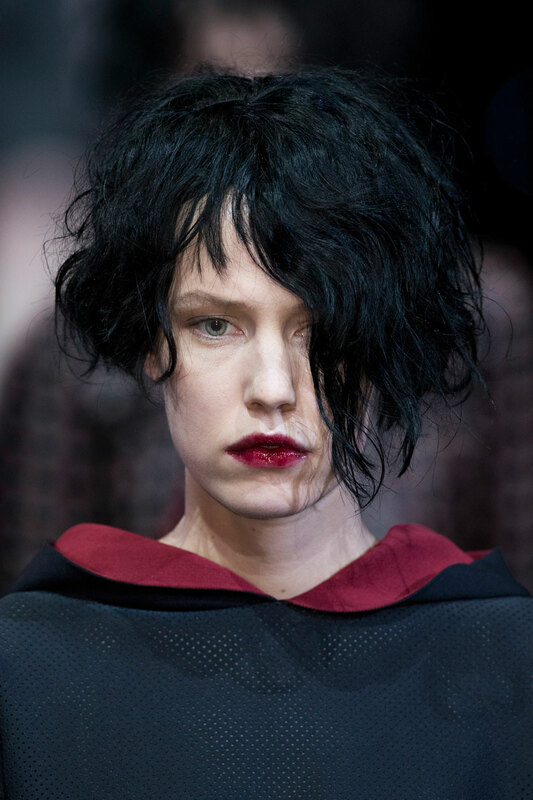 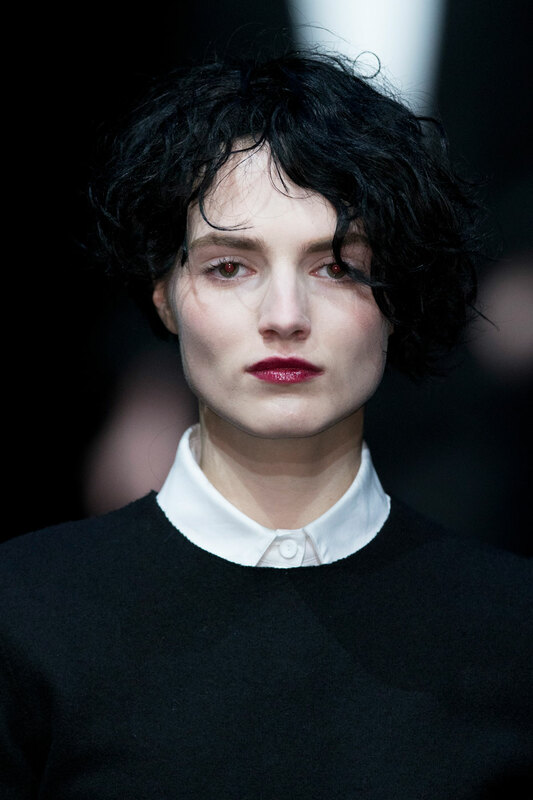 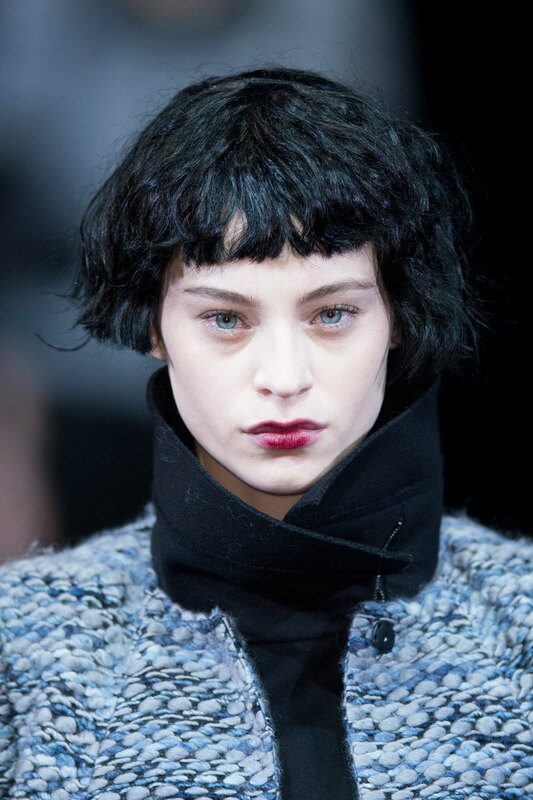 The striking looks were presented in much deeper, richer tones in comparison to other shows we’ve seen so far. 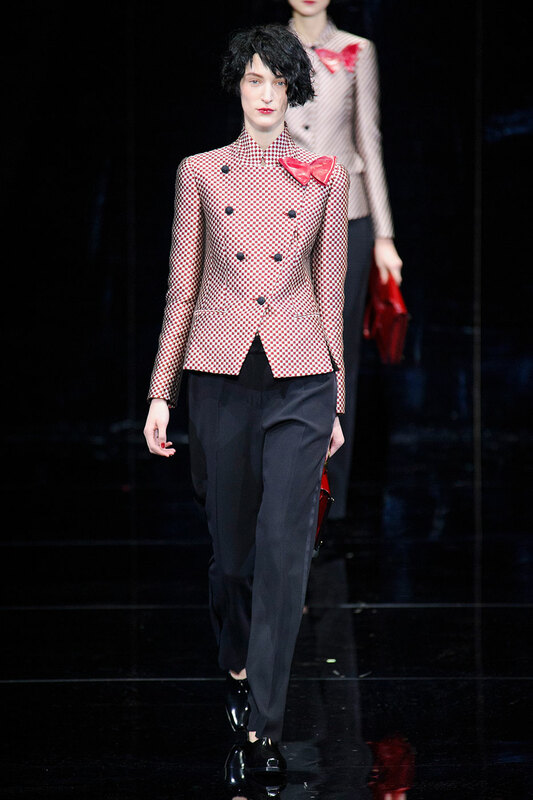 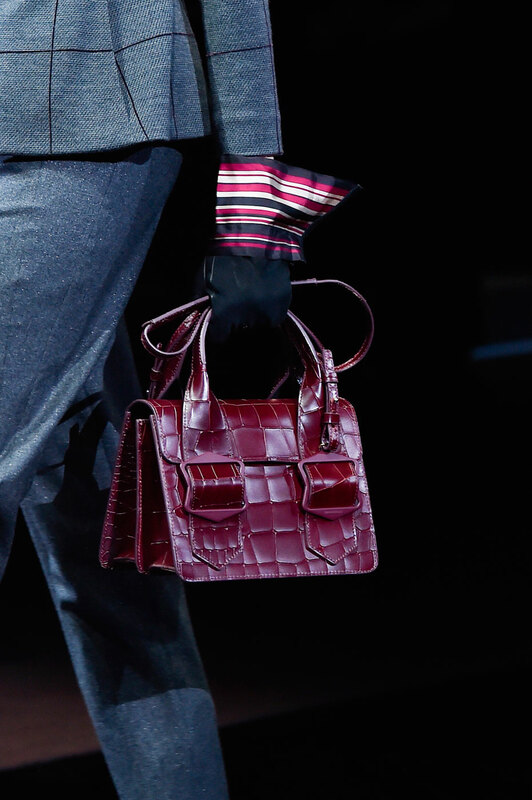 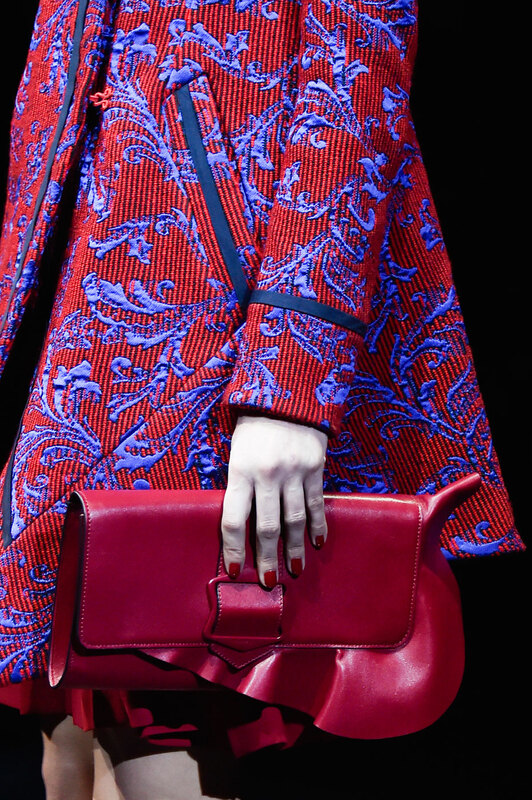 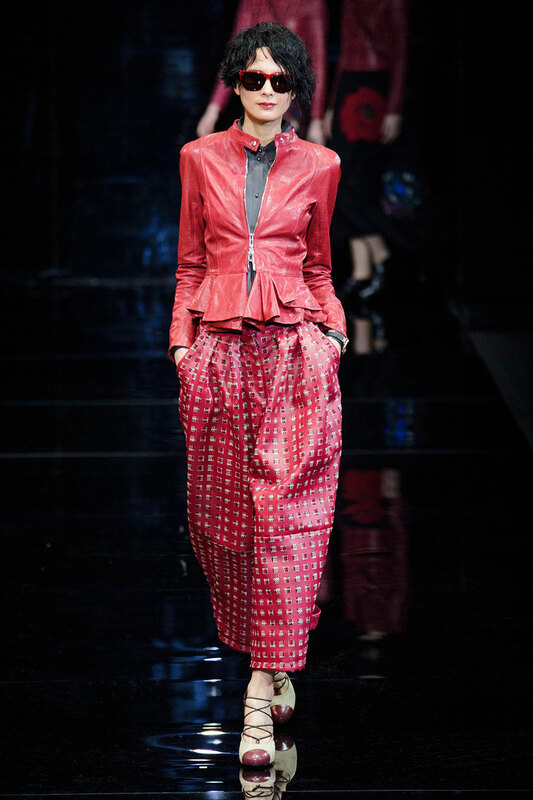 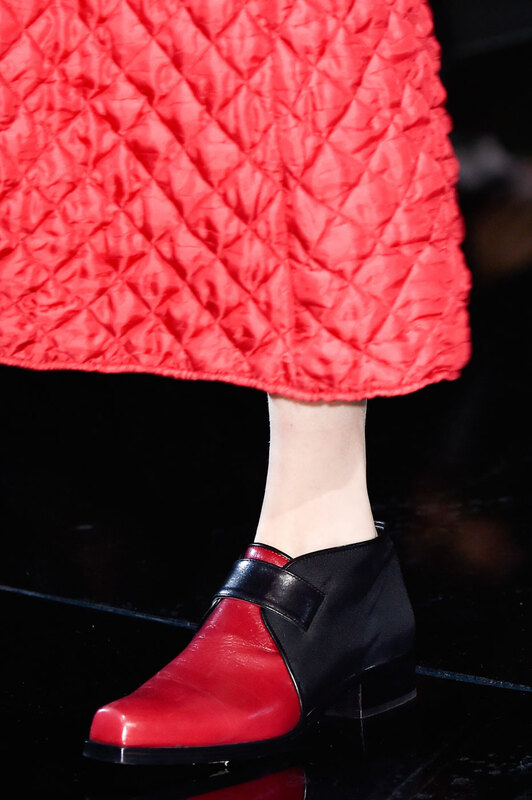 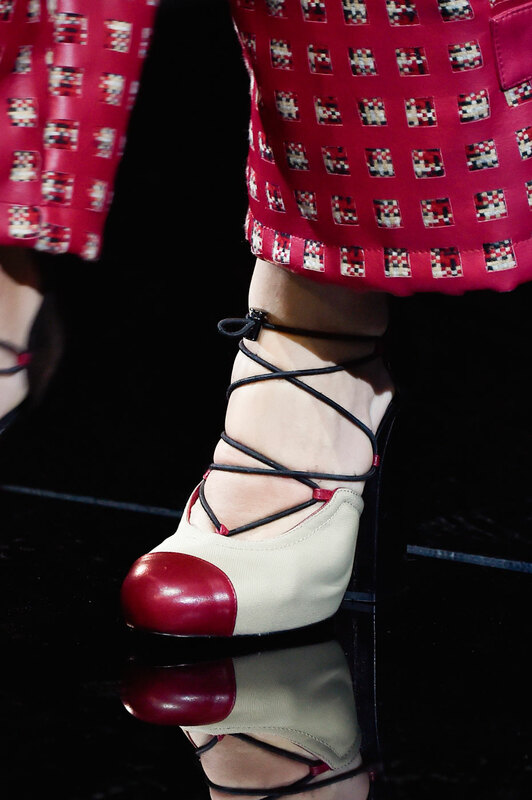 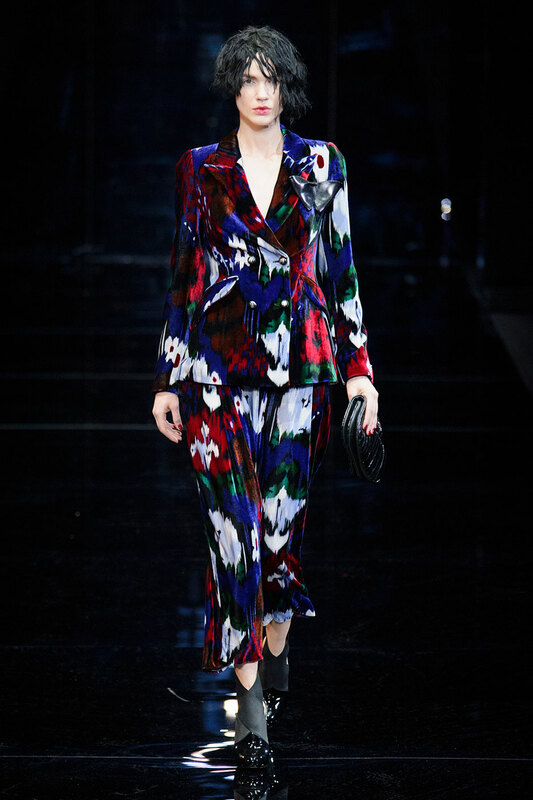 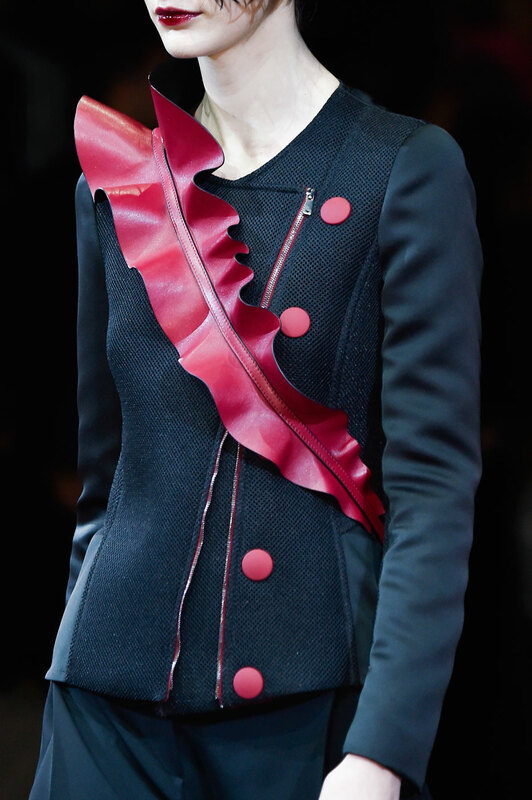 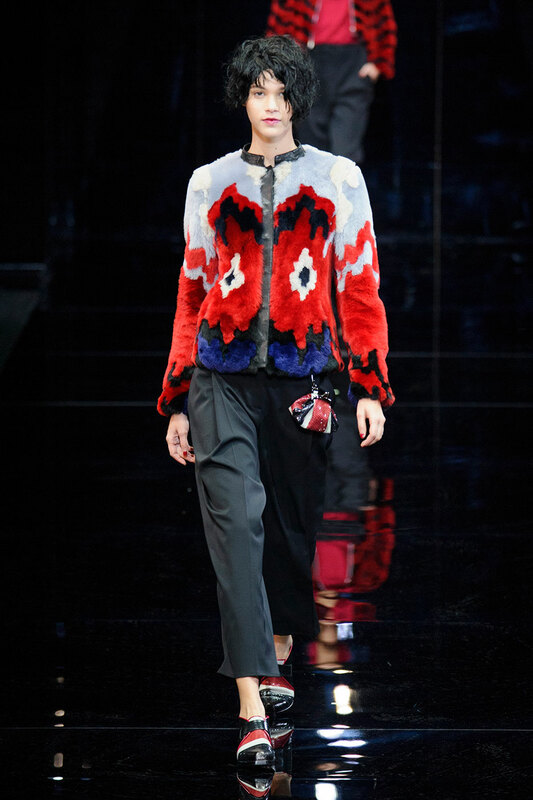 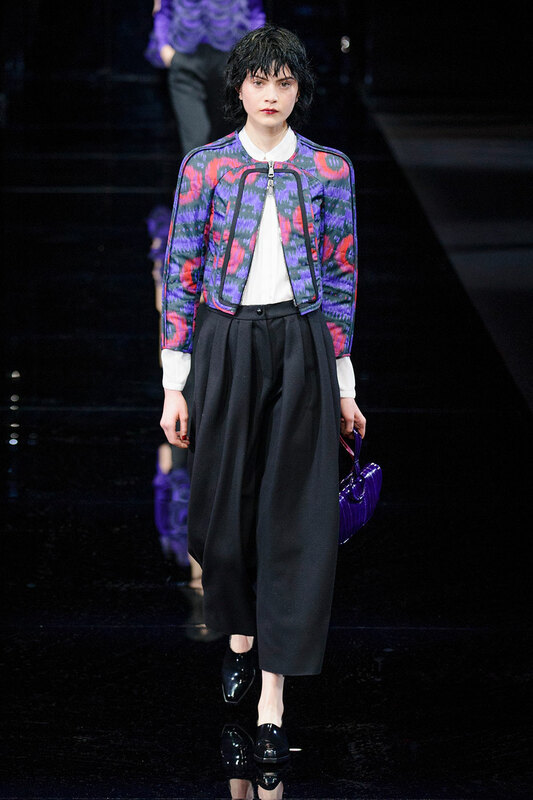 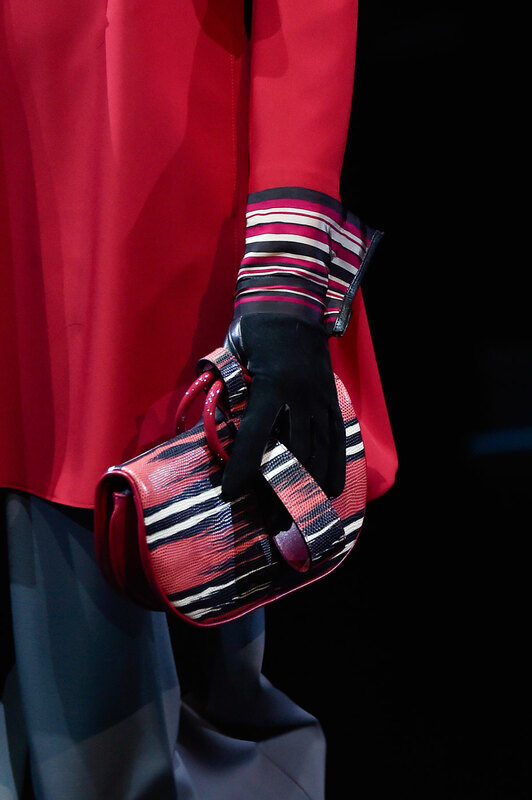 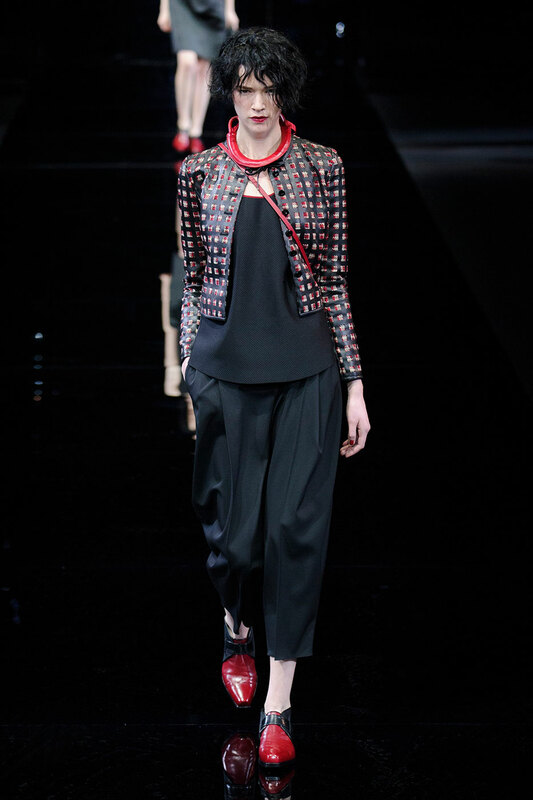 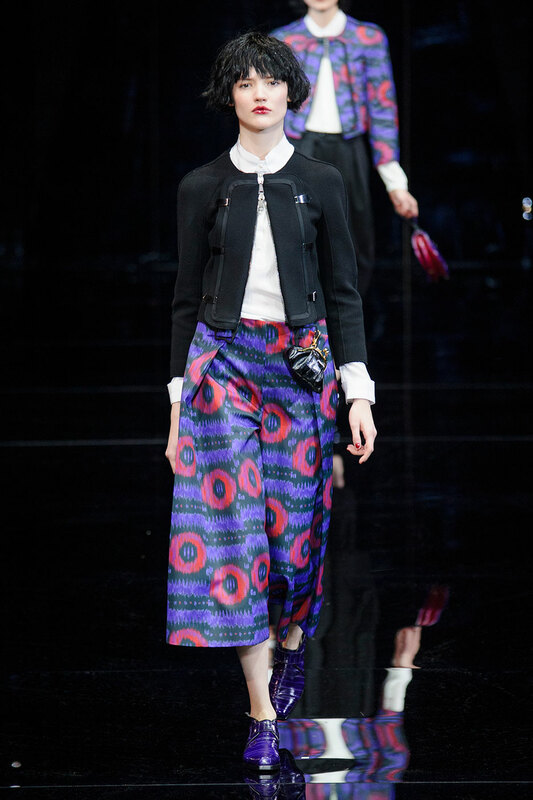 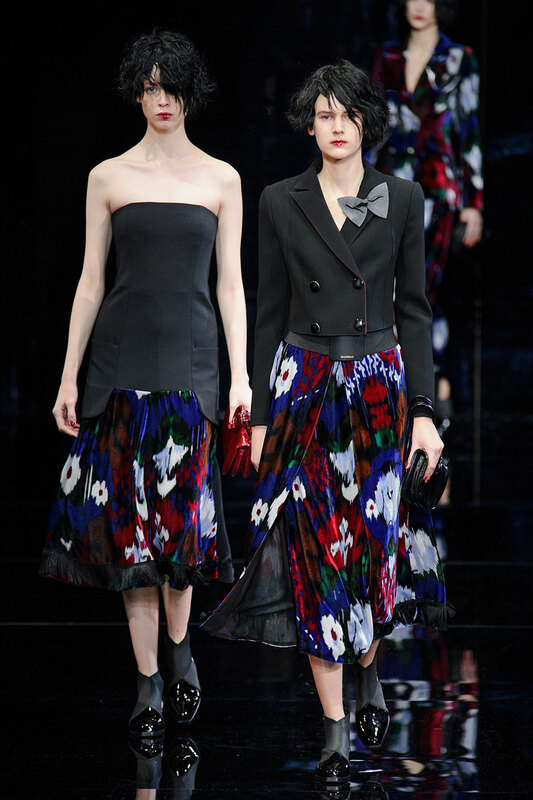 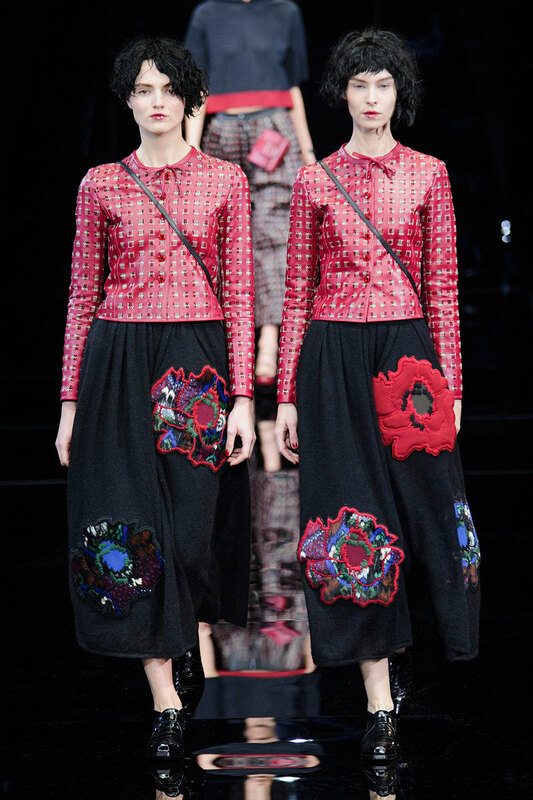 Black, purple, red and blue flooded the catwalk, expressed through intricately detailed tailoring in sophisticated prints. 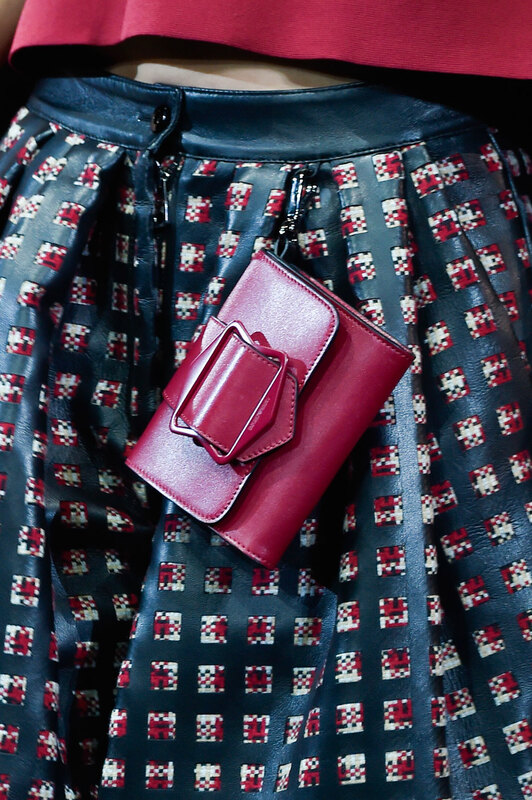 Details are a strong focus throughout the collection. 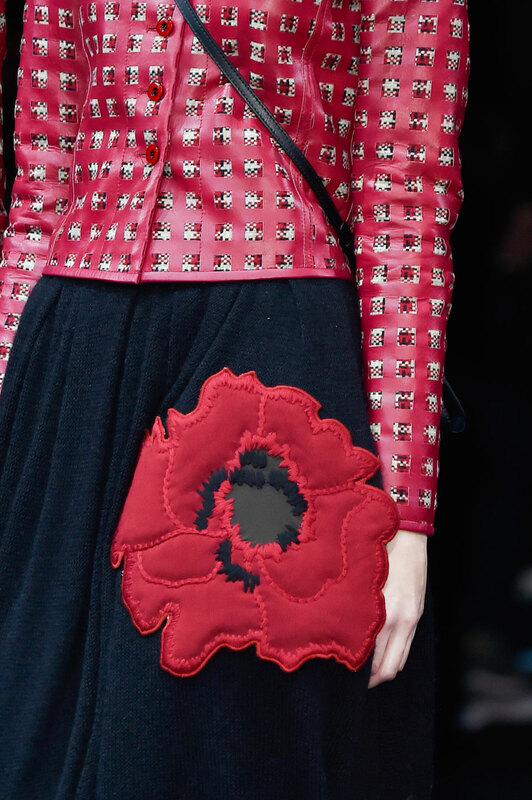 The 3D floral additions add a softer, more feminine touch to what could be questioned as a predominantly masculine collection. 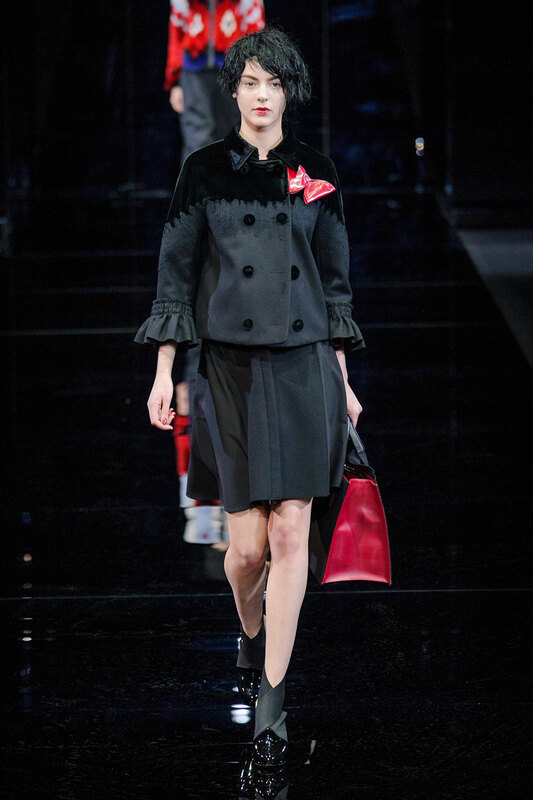 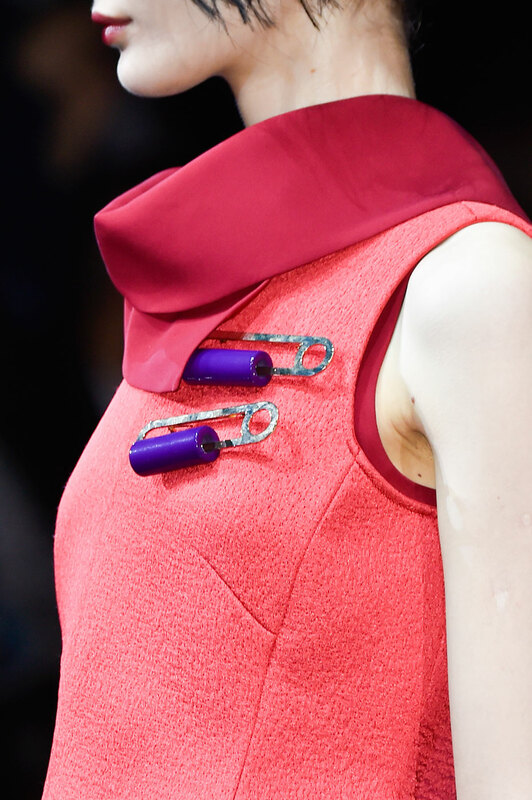 The giant leather ruffles, oversized safety pins and a single bag hooked onto a skirt, all compliment sharply cut pieces adding a contemporary edge. 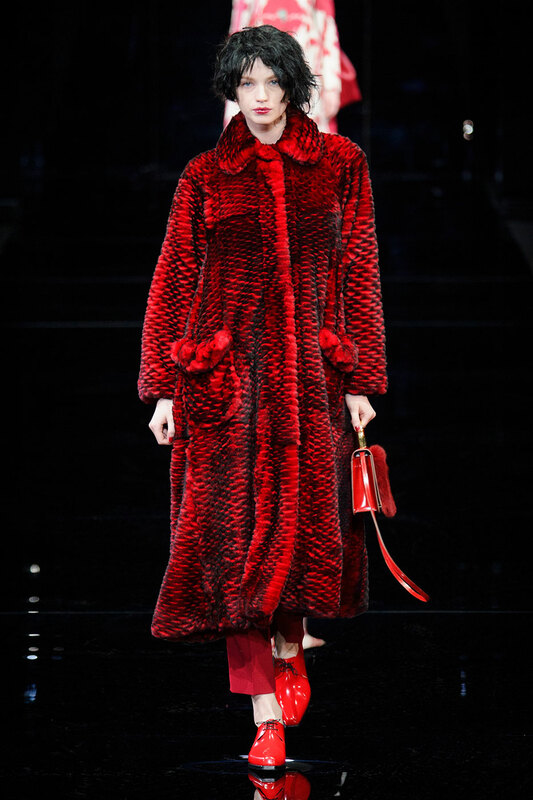 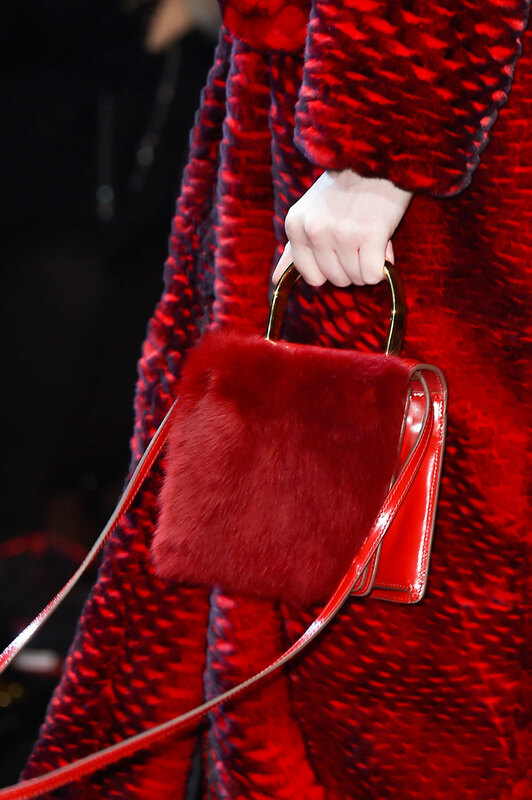 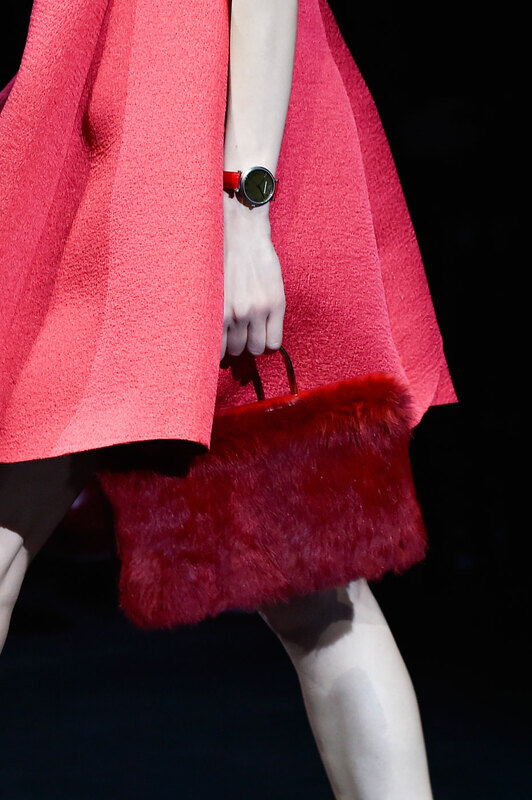 The use of fur in the clothing and accessories screams glamour, a perfect balance against Armani’s speciality of strong, suited looks.